I recently discovered the joy of writing short stories. As with so many things on my writing journey, I initially thought short stories would never be for me. They didn't provide enough time to develop the characters or an interesting story line, and I didn't want to be confined by such tight word count restrictions. Then I saw information about an anthology, and out of the blue, a story idea came to mind. A short story idea. 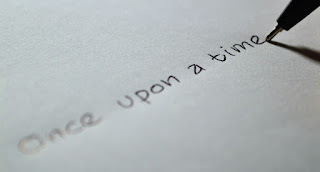 Luckily, I was able to swallow my pride and admit I was perhaps wrong about short stories. I gave it a try and loved it! Staying within a short word count isn't easy, but it gives you a chance to focus just on the central plot and main characters - no need to add lots of subplots or a host of secondary characters. And as I continue to learn and grow as a writer, it was a fun challenge to see how much meaning and character development I could work naturally into that short amount of space. And it was so gratifying to find that my critique partners were drawn into the story just as much as for my full-length manuscripts. The other nice thing about short stories is they can be accomplished so much faster than novels. Writing certainly isn't a race to the finish, but for slow writers like me, full-length novels can get discouraging as you plod along, every 1,000 words making a seemingly minuscule difference in the total percentage you've completed. Writing a short story was a nice break, and making such fast progress was an encouraging boost to my confidence as a writer. I enjoyed the first short story so much that I ended up writing another one only months later! I definitely plan to continue to write full-length books as well (and I need to get back to that soon! ), but I hope to write more short stories in the future - to get an occasional break from novels, to stretch myself as a writer, and to get my writing out there in different ways. How about you? Have you written any short stories? Do you enjoy reading them? I agree! Short stories are fun. I have an odd relationship with them though. My first story was 5000 words (I didn't know that was a short story at the time, not yet having researched story lengths). My second was 10,000, the third and fourth 30,000 and 50,000, respectively. Somewhere in writing the last two of that first series, I started my first full-length novel and finished it at about 86,000. The next two novels were both over 120,000. You can see the trend there ... rather disturbing, right? Especially since one of those was intended to be a 20,000 novella. However, I am happy to report, that like you, I have re-discovered the joy and art of writing short. Ha, I'd love to know more about how the 20,000 word novella ended up being more than 120,000 instead :) But longer word counts probably just indicates that you're exploring your stories more deeply, which isn't a bad thing! Thanks for commenting! I'm a slow writer, too, Laurie. And although I like writing short stories, my plots usually take on a life of their own, stretching a simple 5,ooo word-count to novel length. Still, when I can get one done, it's fun because it's finished in a much shorter time frame. That's awesome that you're imagination tends to stretch stories into more complex plots - though problematic for short stories I suppose :) Thanks for commenting!